Lemon is a natural bleaching agent and can help remove the tan from your skin. Lemon contains ascorbic acid due to which it can easily bleach tanned skin. Simply squeeze a lemon into a dish. Soak a cotton ball into the lemon juice and apply it all over your face and neck. Let it stay for few minutes and then rinse off with fresh water. Pat dry your skin and apply a good moisturizer to prevent dryness. 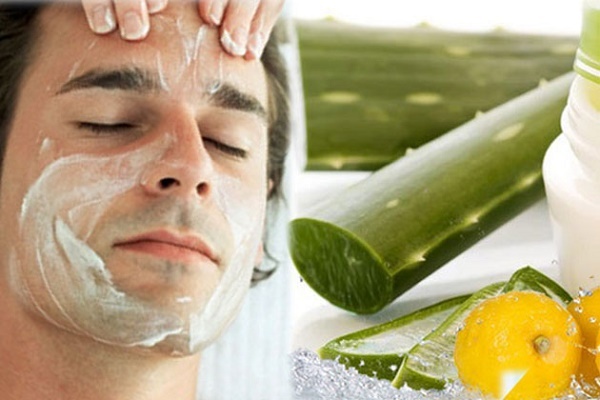 Mash few Aloe Vera leaves and add 1 Tablespoon of Lemon juice. Apply this mixture on the affected areas.After 15 minutes wash it off with fresh water.This remedy is considered best for removal of sun tan. Make a paste by mixing Oatmeal with curd and tomato juice. Add few drops of lemon juice and and apply this mixture on face and neck for 15-20 minutes.This remedy not only remove tan but also lightens the skin. Soak 4-5 almonds overnight. In the morning remove their skin and grind them fine and make a paste by adding one teaspoon of milk and 3-4 drops of lime juice. Apply it on your face and neck and leave it overnight. Wash with cold water in the morning. Regular application for 15 days will show you good results. For Sun Tanned Oily skin mix sandalwood paste with milk and little turmeric(haldi) and apply it on the sun tanned skin. After 15 minutes remove this with fresh water. This remedy not only remove sun tan but also brings back natural fairness. Regular application will show you excellent result within few days. (i)Avoid direct exposure to UV Sun rays. (ii)Apply sun screen lotion before you go out in the sun to protect your skin from harmful UV rays. (iii)Try to eat fruits and vegetables rich in Vitamin A, C and E. All these vitamin not only reduce the production of melanin but also keep your skin fresh, glowing and tan free.